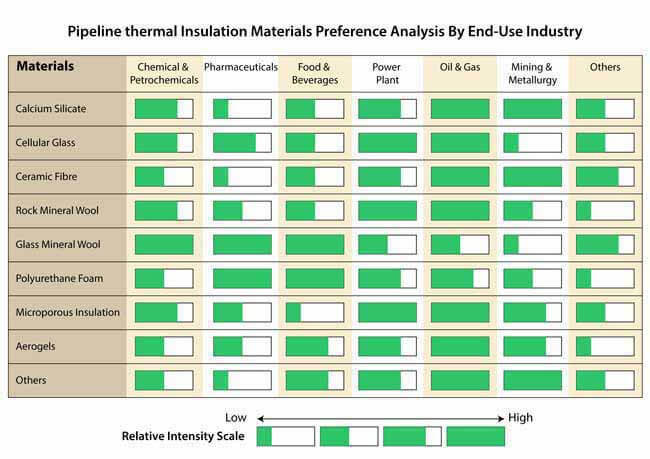 Demand for pipeline thermal insulation materials continues to be on an upswing, as a range of macroeconomic and industry-specific factors turn the tide in the favor of manufacturers. The Government of India's much-touted 'Make in India' initiative, combined with growing injection of capital into infrastructure development activities is also likely to create sustained growth opportunities for pipeline thermal insulation material manufacturers. The overall outlook on the India pipeline thermal insulation materials market remains bullish, and stakeholders can expect momentum to sustain throughout the period of forecast. Requirement for pipeline thermal insulation materials in West India is likely to increase at a rapid pace underpinned by increasing infrastructure activities in major cities, reveals Fact.MR's latest study. The report envisages that demand for pipeline thermal insulation materials in India is projected to expand at a meteoric 7.9% CAGR in terms of value during the period of forecast, 2018-2026. According to the report, recent years have reflected a significant investment from the Government of India, which is expected to further increase by approximately 1.8 times more in 2018 as compared to last year. A US$ 1 trillion investment for development of infrastructure is in the offing which is likely to influence demand for pipeline thermal insulation materials in India across a cohort of industries in the coming years. With a large focus on transforming India into a more investor friendly country, the Indian government has been striving for attracting more FDI (Foreign Direct Investment) for facilitating industrial growth. Furthermore, rising energy demand coupled with increasing energy costs has made it imperative to ensure energy sustainability in a bid to facilitate huge annual energy savings. Adoption of pipeline thermal insulation materials is likely to gain momentum in various industries including pharmaceuticals, chemicals, food and beverages, power plant and oil and gas and particularly applications involving temperatures ranging from 200 degree Celsius to 500 degree Celsius. Expansion of Indian industrial scenario has demanded minimization in energy consumption along with energy efficiency maximization of various industrial processes and systems. In addition, being a lucrative manufacturing hub, India's manufacturing sector has significantly contributed to the growth of India pipeline thermal insulation materials market. For instance, India's IIP (Index of Industrial Production) increased by 7.5% in 2017 and is expected to further grow in the years to follow. The GVA (Gross Value Added) generated from India's manufacturing sector also reflected an increase by 4.3% during the 2012-2017 timeline. Under the NMP (National Manufacturing Policy), the Government of India aims to enhance share of country's manufacturing sector in GDP to about 25% by end of 2022. With pervasive manufacturing scenario of the country, the increase in demand and sales of pipeline thermal insulation materials is imperative.